Zoo is one of the places which attract the tourists. Not only tourists but also the local people like to spend their holiday by visiting the zoo. It is liked by the people of all ages. There are two main zoos in Kerala one at Thiruvananthapuram and another at Thrissur. Both these zoo have museums, botanical and zoological garden in the zoo premises. The wildlife includes tigers, lions, deers, hippopotamus, monkeys, crocodiles etc. Besides these there are birds and snakes as well. The main aim of the zoo is conservation of animals as most of the animals at present fall under the category of endangered species. So it is necessary to conserve them before they become totally extinct. People can enter these zoos by paying an Entry fee. It depends upon the age group. There are discounts given if the tourists visit here in groups. Special discounts are also available for school and college students. Those who are really interested in watching the animal can spend a whole day in the zoo. It will be a good experience for the children also. The animals are housed in cages and information about the various species is written near the cages. It is also attracted by the photographers who can manage to get a good snap of these animals. 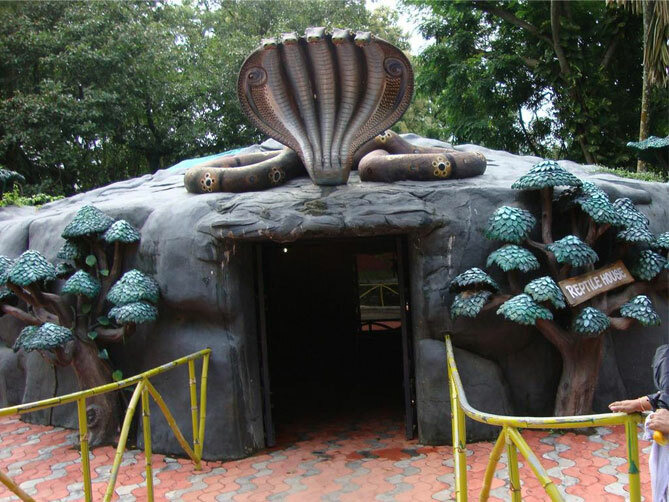 Thiruvananthapuram zoo which was established by Travancore King in the year 1857 covers a total area of 55 acres. The zoo was built with the aim of recreation but then later decided to conserve it. There are a variety of plants and trees in the premise that beautifies the zoo. Thrissur zoo was established in the year 1885 in Chembukavu in Thrissur district. It covers a total area of 13 acres of land. The main aim of this zoo is conservation of animals and has taken measures for breeding of animals. Research is also being conducted from here.